perforated format, with 25 brief, to-the-point chapters ("modules"), makes it easy for busy teachers to quickly find, understand, and use key information related to their most pressing needs. Accompanying CL Video Cases available on the Online Teaching and Study Centers are directly tied to the text and allow students to see the concepts in the text brought to life in real classrooms. written and edited 22 books and over 100 articles on teacher and character education. 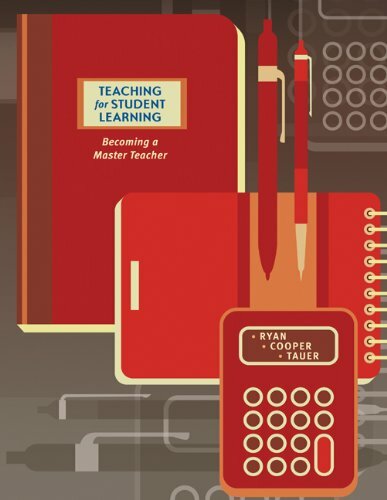 He is also the author of TEACHING FOR STUDENT LEARNING: BECOMING A MASTER TEACHER (with James M. Cooper, ï¿½2012, Cengage); THOSE WHO CAN, TEACH, 14th Edition (with James M. Cooper and Cheryl Bolick, ï¿½2016, Cengage); and the editor of KALEIDOSCOPE: CONTEMPORARY AND CLASSIC READINGS IN EDUCATION, 13th Edition (with James Cooper, ï¿½ 2012, Cengage). 14th Edition (with Kevin Ryan and Cheryl Bolick, ï¿½ 2016, Cengage); KALEIDOSCOPE: CONTEMPORARY AND CLASSIC READINGS IN EDUCATION, 13th Edition (with Kevin Ryan, ï¿½ 2012, Cengage), and CLASSROOM TEACHING SKILLS (ï¿½2014, Cengage), for which he served as editor and one of the authors. He is also series editor of the Educator's Guide series (Cengage). His books and articles address the areas of teacher education, supervision of teachers, case studies in teacher education, and technology and teacher education. Cooper has also received many honors, including a Fulbright-Hays Award for Lecturing in Portugal and recognition as one of the nation's Distinguished Teacher Educators from the Association of Teacher Educators. education, teacher supervision, and research methods. Dr. Tauer received her bachelor's degree from Colby College, and her masters degree and doctorate from Boston University. Teaching Academically Diverse Learners What Is Intelligence? Technology Terminology, or What Might You Find in Your Classroom? A New Way to Teach? A New Way to Learn? Working with Colleagues The Culture of Teaching Norms of Interaction Among Teachers A New Teaching Culture? The First Year Overcoming Initial Disorientation How to Prepare for Your First Year What Help Can You Expect?